Please use the following two diagrams when voting by mail. 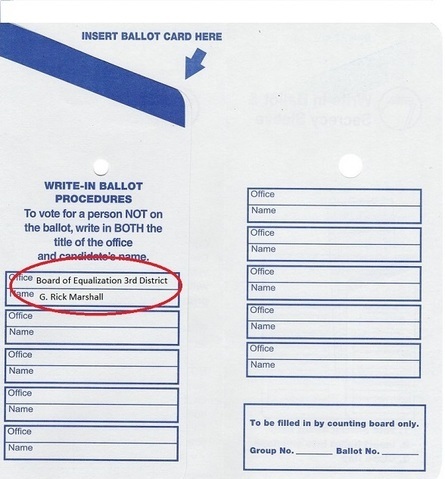 DO NOT mark the ballot for Member, State Board of Equalization 3rd District. Notice that my name is not there. If you mark Jerome Horton and write-in G. Rick Marshall, you ballot in that office will not be counted. Only vote for me by writing the office, Member, Board of Equalization, 3rd District in the Office box and my name G. Rick Marshall in the Name box. 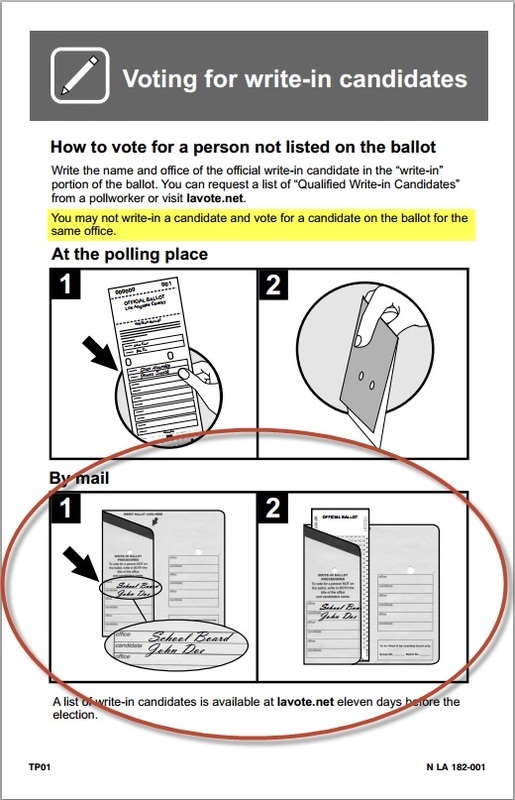 This is a page from your sample ballot also explaining how to vote for a write-in candidate. Please refer to the diagram that is circled in red. Please write "State Board of Equalization, 3rd District" (be careful to print and write small as there is not a lot of room) in the office box and "G. Rick Marshall" in the Name box. Make sure both are legible. 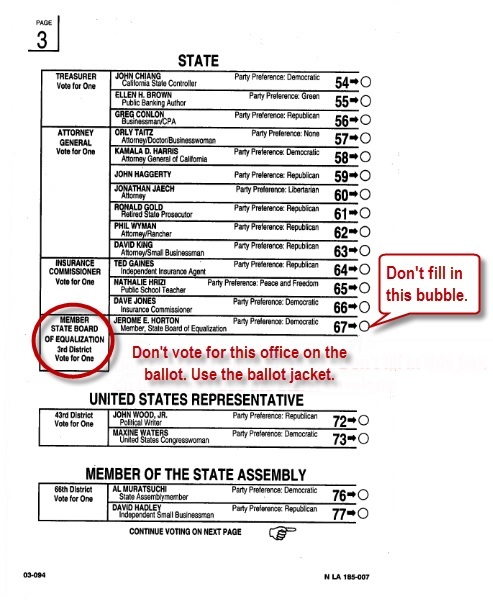 Don't fill in the bubble on the ballot for Member, State Board of Equalization, 3rd District. Write the office name on the Vote By Mail Privacy sleeve, "State Board of Equalization, 3rd District". This is the official name and is required. Write the candidate name. Please write "G. Rick Marshall"
Please mail your vote by mail ballot by May 27th in order for it to arrive on time. If you miss this deadline, take it to any polling place on Election Day, Tuesday, June 3rd, 2014, and drop it off.